Angeline Markos Fopp was born on November 15, 1923. She went home to her Father in Heaven on December 3, 2018. She was born in Fargo, North Dakota to Christ and Elizabeth Keim Markos. 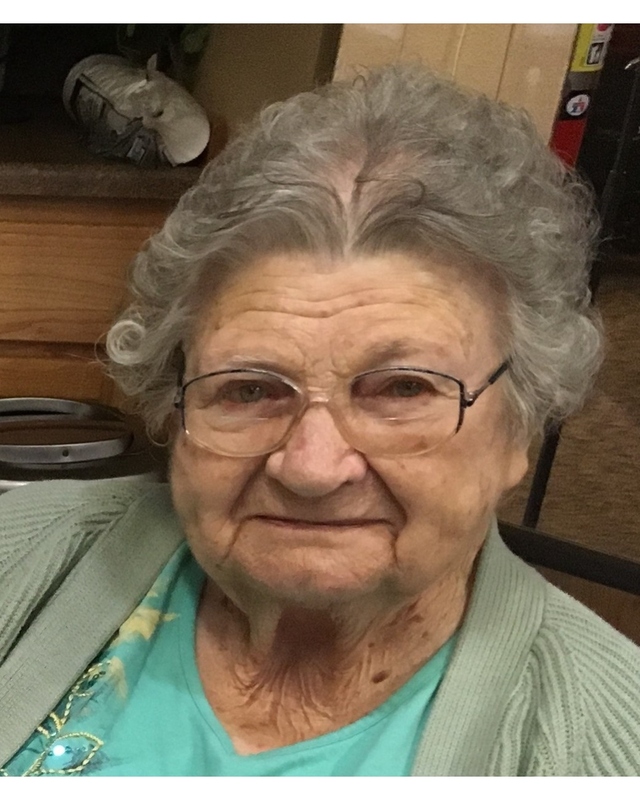 Mom attended and graduated from Sacred Heart Academy in Fargo, North Dakota and Saint Alexius Hospital School of Nursing in 1945 with a Registered Nursing degree. She and a friend boarded the train in Minot, North Dakota and came to Kalispell to work at Kalispell General Hospital. In 1946 she met Albert Fopp, they were married in Saint Matthews Church on July 24, 1948. They had four children, Linda, Julie, Mark and Rick. Mom was an excellent seamstress. She made dresses for us girls, shirts for the boys and even made Dad’s sports jackets. For many, many years, she made ravioli for the Hacienda Restaurant. Over the generations, Mom was our staunchest supporter. Whether it was basketball, softball, baseball or football games, cross country or speech meets band concerts or soccer or wrestling matches, Mom was always there in person or in spirit. In the fall after high school football games there were always pizza parties at the Fopp house. She was MOM to so many of our friends. In about 1975, she took up quilting. Mom made some beautiful quilts that we are fortunate to have as keepsakes. In addition to sewing and quilting, Mom loved her rose and vegetable gardens. She also grew huge dinner-plate dahlias. The humming birds arrival every spring brought her joy, she loved watching them feed from the feeders by the kitchen and living room windows. Mom was very active in Saint Matthew’s Parish and School. She was a member of the Daughters of Isabella and was a Past Regent. Mom had a special place in her heart for her two younger sisters. When they got together each summer it was the happiest time of the year for each of them. They were the most wonderful, loving Moms and Aunts any child could ever ask for. She had back surgery in 1972 and was plagued with back and knee pain for years. Mom never complained, she just accepted it and learned to live with it. In 2013 she moved to Immanuel Lutheran Home. She quickly won the hearts of the staff and residents. Her favorite activities were jig-saw puzzles, Silver Sneakers and Bingo. Mom was predeceased by her husband, Albert in 1996, her sisters Cleo Koch and her husband Tony and Christine Kincaid and her husband Mel, brothers-in-law and sisters-in-law, A.J. and Myrna Fopp, Gene and Joan Fopp and S.M. Mike Fopp. She leaves her children, Linda Lessard, Julie Miller and husband Randy, Mark and wife Paulette, and Rick all of Kalispell. She is also survived by three grandsons, Jason Miller and wife Rhonda of Kalispell, Douglas Miller and wife Chris of Coeur d’Alene, Idaho and Anthony Fopp of Bozeman, Montana. Her three great grandchildren are Dylan Miller of Kalispell, Emma and Vincent Miller of Coeur d’Alene, Idaho. Her step great grandchildren, Beth Calderon and her husband Alejandro and Nick O’Mary as well as step great, great grandchildren Cambria and Santi Calderon and Everleigh O’Mary all of Kalispell. Her nieces and nephews, Gary and Pat Kincaid, Wade and Birdie Kincaid, Dianne and Richard Knell, Rhonda and Perrie Schafer and Tony Chris Koch all of Mandan, North Dakota, Nikki Fopp of Oklahoma and Shelley Likens of Great Falls, Montana, and her sister-in-law, Barbara Fopp of Corte Madera, California. Numerous great and great-great nieces and nephews and countless friends and aquaintances will miss her dearly. We would like to thank the staff at the Immanuel Lutheran Home for the love, kindness and friendship they all shared with Mom. Viewing and rosary will be held at Johnson-Gloschat Funeral Home from 5-7pm on Monday, December 10, 2018. Funeral Mass will be held on Tuesday, December 11, 2018 at Saint Matthews Catholic Church at 12:10. Interment will be at C. E. Conrad Memorial Cemetery. In lieu of flowers, please make a donation in Mom’s name to the charity of your choice. Please visit www.jgfuneralhome.com to leave condolences for the family. Johnson-Gloschat Funeral Home and Crematory is caring for the family.